College days are the best days of everyone's life because when we enter college it,we learn to face the real world and our professors helps in making us capable of making our living.But before taking admission in any college,we have to go through the real task which is to search the best college or university for us according to the course we want to pursue.And now it has become really simple to get all information about the colleges,universities,exam results online at this website Collegedunia.com. 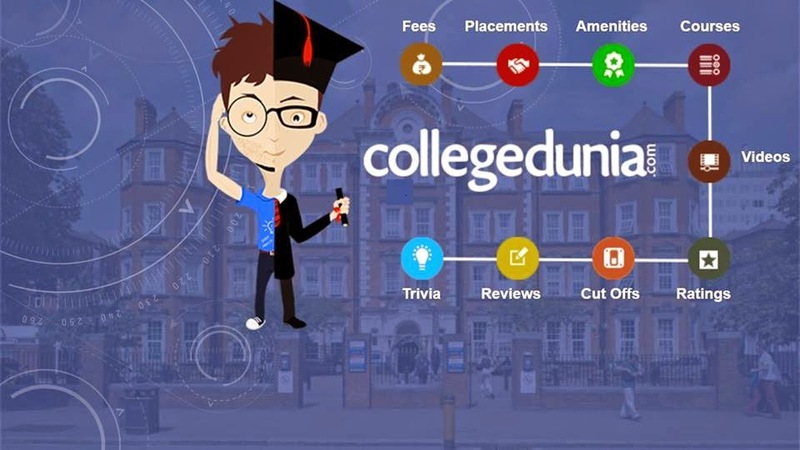 Collegedunia.com is a portal providing information of around 20,000 college across India.It is like a complete guide for all students whether they want to study Management courses,Medical subjects,Engineering,Arts,Commerce,Law,etc. Collegedunia.com is an educational portal which provides comprehensive information about colleges in India,courses,entrance exams and universities.It makes our search easy and simple. Sahil Chalana,founder of Collegedunia says,"we spotted a huge gap in the data being catered and the quality of information being sought by college aspirants in the pre-admission session.The notification of colleges today is very scattered and students are looking out for detailed presentments such as Cut Offs,admission process,eligibility and even Co-curricular facilities." My view~I checked this complete site and found that its really useful for the students and for the parents of the students who are looking for the information about many colleges.They can save lot of time and find all related information online at one place and can also avoid going to different colleges for collecting the required information. Such an informative information thanks for sharing this!!! !